Indio CA calls itself “The City of Festivals,” and it’s true that there are indeed many fun events to attend in Indio CA. The most popular festivals are probably the National Date Festival and the Indio International Tamale Festival. Both of these events celebrate Indio’s agricultural heritage. The newer Coachella Valley Music Festival, also held in Indio, is also gaining a devoted following. If you want to enjoy festivals in Indio, you’d better get your work done first. 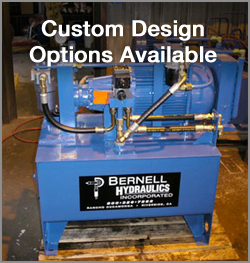 With quality parts from Bernell Hydraulics, you can get better performance out of your hydraulic equipment and do more work. We are particularly proud to offer a full range of high-quality Parker brand hydraulic parts Indio CA. As an authorized distributor for Parker, you can trust us to provide 100 percent authentic Parker parts for all your industrial and mobile needs. Bernell Hydraulics is a family company, and hydraulics runs in our blood. We’ve been selling and installing hydraulic parts for over 30 years, and in that time we’ve learned just about everything there is to know about hydraulics. We can help you diagnose problems with your system and recommend repairs or replacement parts. We can help you special order those hard-to-find parts or even create parts from scratch for custom systems.